What to supplement during weight loss? Reduction is the time when the only thing we think about is … the moment of entering the mass!However, before we lose our head for good, it is worth considering what we lack and what supplements can support tedious weight loss.After all, the faster you lose the fat tissue, the faster you will be able to work on the expansion of your muscles. 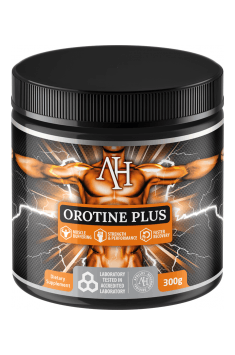 Creatine is associated with the period of mass building, however it is worth supplementing it all the time.Why?In addition to anabolic properties, it increases the strength capabilities, which is extremely important during weight loss.Creatine allows you to work on workouts with greater weights, increases the absorption of proteins, increases resistance to stress and, which is very important during the reduction, works anti-catabolic.In other words, it will allow you to keep as many muscles as possible developed in the muscle season.It is a myth that it should be consumed in cycles. Like protein, magnesium or omega-3 acids, it should be included in the diet all the time.5 grams a day is enough. Each slimming is related to the fact that in addition to fatty tissue, you will also shed some meat.The art of a good reduction is to lose muscle mass as little as possible.It has long beennoticed that the role of natural anti-catabolism is proven by the common protein.Both available in food and supplemented in the form of protein supplements.The latter have one huge advantage – they absorb very effectively and quickly.In addition, protein supplements have low calories in relation to the protein content.It is also worth mentioning that the protein provides a feeling of satiety and requires the largest number of calories to digest in relation to carbohydrates and fat.Same benefits! 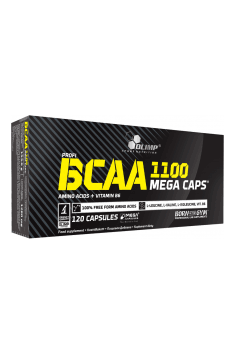 What is BCAA?These are three branched chain amino acids, i.e. valine, leucine and isoleucine.Like a protein made up of more amino acids, BCAA works anti-catabolic.It also affects energy processes in the body.Branched chain amino acids are esogeneic, that is, they should be supplied from food, because the body itself does not synthesize them.When to consume BCAAs?Best around training, before, during and after training.BCAA amino acids are available in the form of tablets, powder or beverages, which facilitates their consumption during workouts in the gym. Although there is no wonderful tea, thanks to which we will start to lose weight, the effects of weight loss can be easily improved.Fat burners are used for this purpose, that is, supplements that affect thermogenesis, facilitate the burning of triglycerides or otherwise accelerate the burning of adipose tissue.They can also help in burning so-calleddifficult fatty tissue lying around the abdomen and thighs.They are recommended especially in the final reduction period when symptoms of stagnation appear.Fat burners are completely safe and effective, provided that we use only certain sources.Avoid suspicious listings and buyers from private individuals because you are not sure that they have been properly examined. A diet low in calories can become a poor diet with essential vitamins and minerals to survive.Proper balancing of the menu avoids this, but as they say – prudent always insured.Where to get these nutrients from?You will satisfy a large part by simply adding more vegetables to the diet, preferably raw ones.Remember also about drinking ordinary water, which contains, among othersmagnesium, calcium, potassium or sodium.What to do, however, when the supply of vitamins and minerals is too small?Take advantage of supplements.Depending on your needs, you can opt for specific vitamins or minerals (eg magnesium, vitamin D + K or B vitamins) or choose a complex of vitamins and minerals. Why do the effects stop after some time from the start of weight loss?One of the reasons may be slowing down the metabolism, i.e. a side effect of long-term maintenance of the calorie deficit.More vividly, the body adapts to smaller calories from food and switches to energy saving mode.Our role is to ensure that the metabolic rate is maintained at the highest level all the time.In this role, various complexes of supplements based on, among others,on caffeine, yohimbine HCL or forskolin. Hunger can be very tricky.During the weight loss can accompany us all the time, although we provide the body with enough calories needed for proper operation.Why is this happening?It is worth mentioning two hormones regulating the appetite, i.e. about ghrelin (also known as the hunger hormone) and leptin (called the satiety hormone).During the reduction, the first one dominates, and the second organism can become resistant.The result is a constant feeling of hunger, which we can satisfy by reaching for ever larger doses of food.Fortunately, supplements are available that will allow us to control our raging appetite.Remember, however, that this is only an addition to a balanced, satiating diet. Slimming is a long process, and supplements can be your ally in the resolution.They will take care of providing all nutrients, reduce appetite and accelerate the effects.What more could you want?All you need is a strong will and a lot of positive thinking.Changing the composition of your body shows that you have enormous power! Here you can find appetite suppressant!